When it comes to brewing, hops can be challenging. There’s the taste end of things, for every hop can offer something novel and different to a particular beer; there’s the agricultural end of things, since hops are very particular about where they grow; and then there’s perhaps the most difficult aspect of humulus lupulus: the economics of the plant. From 2015 to 2016, the average price of a pound of hops in the United States climbed to $5.72 from $4.38, up an incredible 30 percent despite an 11 percent increase in production (from 78.8 million to 87.1 million pounds), according to the United States Department of Agriculture. This followed a 19.3 percent increase in the price of hops from 2014 to 2015, and continued a trend spawned by the proliferation of IPAs and novel hop varieties that has pushed hop prices—especially those that are trademarked or bought on the “spot” market without ahead-of-time contracts—skyward. Technology has a history of stepping in to address similar problems with high costs, whether it be plastic reducing the cost of everyday goods, or renewable energy lowering the cost of fuel. Now, similar tech innovation is being applied to hops by allowing them to be used more efficiently—honing in on the proverbial “do more with less” for brewing. Doug Mancosky, who holds a Ph.D. in chemistry and a master’s in biotechnology and genetics from the Georgia Institute of Technology, is a member of that tech wave. 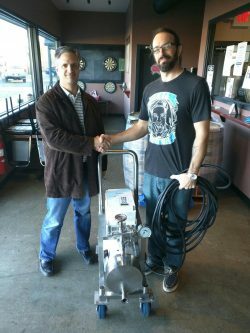 His company, Hydro Dynamics, Inc., worked with a partner company, Apotek Solutions, to develop the ShockWave Xtractor for beta testing more than a year and half ago, transitioning the cavitation extraction technology the company had developed for biofuels, food and wastewater clean-up to brewing. The ShockWave has since been purchased and used by the likes of Anchor Brewing Co., Terrapin Beer Co. and Witch’s Hat Brewing Co., and officially debuted in August 2016. 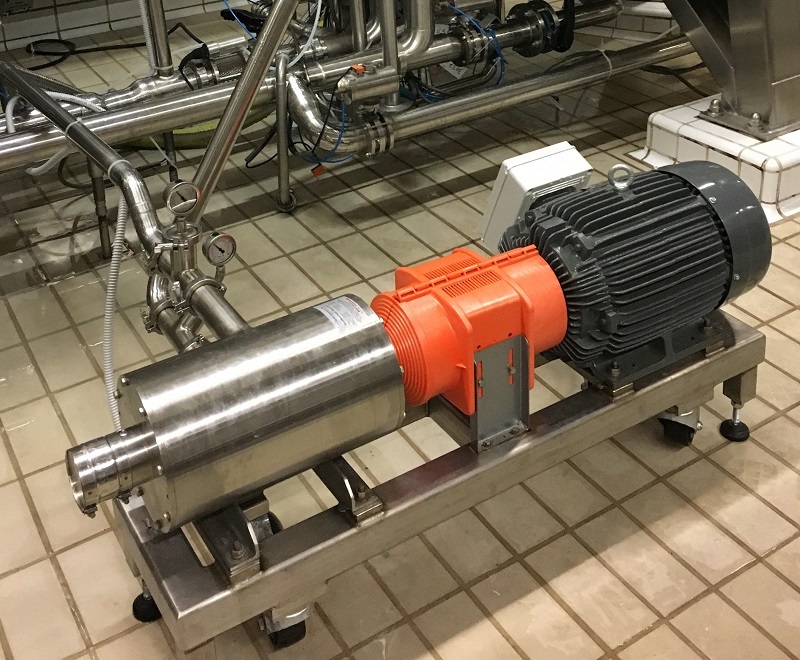 Major testing of the device is also reportedly underway in a handful of undisclosed “major” American and European breweries. The ShockWave’s shtick is that it allows brewers to use approximately half as many hops as usual to deliver the same amount of IBUs in beer. It operates by generating a shockwave that first pushes water particles further into the pores of hop material, then pulls the same particles back via the shockwave’s rebounding force, causing a more efficient exposure to hop matter. The benefits from this process can also include faster dry hopping, higher beer yields (less hops to absorb the beer, and more efficient extraction) and reductions in the use of adjuncts such as fruits and coffee. Anchor sold 2,400 barrels of Blackberry Daze during the first half of this year. Although Blackberry Daze is hopped with Bravo, Citra, Ekuanot, and Denali hops—vogue hops that typically carry higher than average prices—a basic calculation shows the economic potential of the ShockWave’s application. 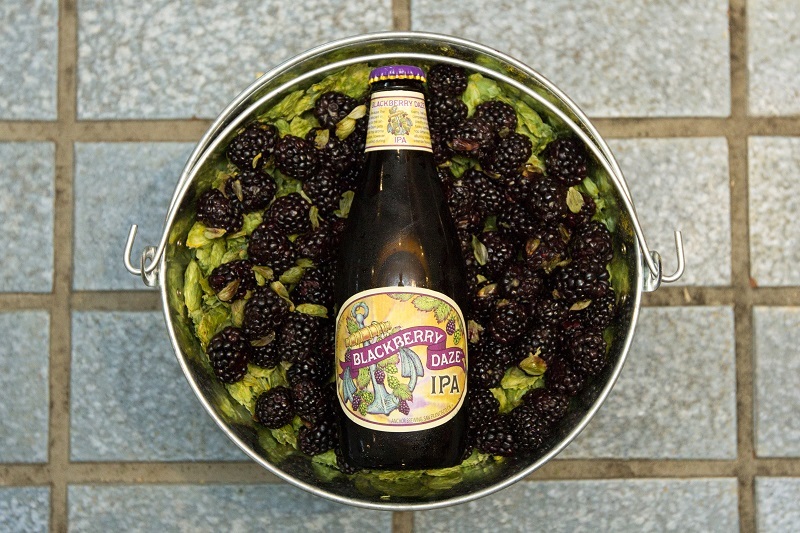 Approximately 2-2.5 pounds of hops are used per barrel of Blackberry Daze, meaning at an average hop price (note: this is a conservative and theoretical calculation) they would have cost the brewery between $27,456 and $34,560 for the first half of the year’s production. Given the ShockWave’s ability to cut hop usage by half, that’s cutting costs between $27,000 and $30,000 for one brand, assuming the beer had only been dry-hopped (the ShockWave can only be used for dry-hopping) for the sake of this calculation. Even cutting those savings in half, that’s still a significant cost reduction—and it doesn’t even account for the reduced cost of blackberry usage because of the device. Plus, Blackberry Daze only made up roughly four percent of Anchor’s sales during that period. Anchor also used the ShockWave to infuse its Mango Wheat Beer and is developing a Blood Orange Blonde that will use the technology as well. Witch’s Hat, in South Lyon, Michigan, another early tester of the machine, has used the technology for its Train Hopper IPA, This Guy Northeastern DIPA, Citrawave IPA and Defloured Northeastern IPA. 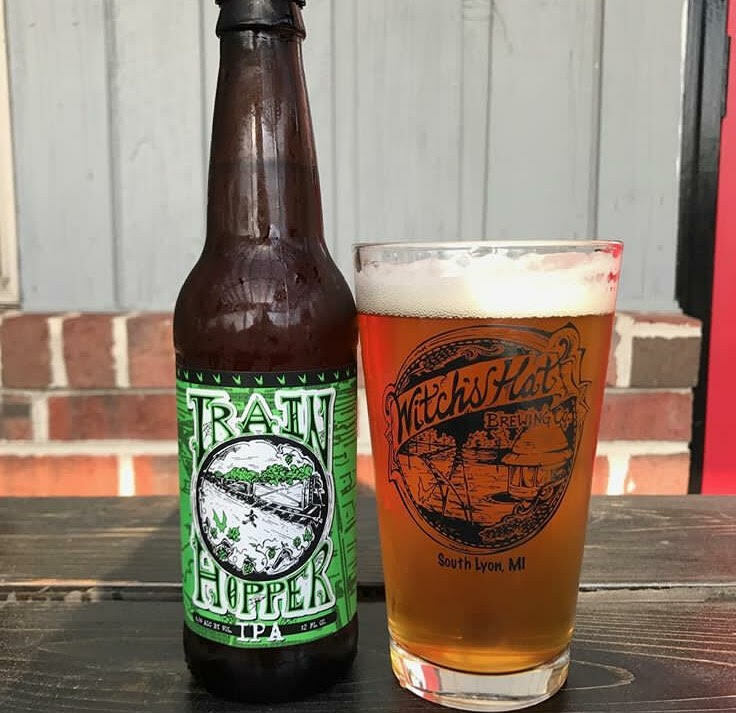 Train Hopper IPA, the brewery’s flagship IPA, typical uses 2.61 pounds of dry hops alone per barrel, but only requires 1.62 pounds with the ShockWave. “We probably could drop a little more for the same results,” says Cottongim. He also notes that the brewery’s dry-hopping rates might be considered overzealous by others. At a tasting panel of both beer nerds (from the Brewed in Chicago beer group, including myself) and middling enthusiasts organized for the purpose of this article, we tested two growlers of Train Hopper—one made with the ShockWave, and one without—side by side. The beers, to us, were largely identical, but with a few distinguishable differences. The ShockWave, it seemed, opened up more of the floral and fruity, sweet side of the hops, a fact almost immediately present on the nose of our pours. The ShockWave version, too, appeared slightly more turbid than the control IPA, and while tasters described some hop notes of that iteration as “grassy,” the non-ShockWave version got comments of “earthy” and “rosemary,” and was almost unanimously perceived as being more bitter. But again, these differences were minor—not much more notable than those that occasionally appear between two different brewing runs of the same product. Mancosky also notes that the ShockWave is being sold for use in winemaking and distilling, where it can be applied to oak-aging beverages at faster rates than normal. Treehouse Craft Distillery in San Francisco is one such distillery working with the machine. We did some if the testing and they published some of this work in the J-ASBC if I recall with credit on the work done.